Intercom is a messaging platform that makes communicating with customers simple and easy. If you already have an Intercom account, then you probably know this. If you don't have an Intercom account, then you may be familiar with the user experience anyway; the blue and white logo in the bottom right-hand corner of your screen right now is Intercom. We use Intercom at Coassemble to send out updates about the platform and offer support services such as talking to our users in real time. Thanks to the work of our developers, Intercom can be fully integrated with Coassemble on the Scale, Pro, Pro + US and Enterprise plans. 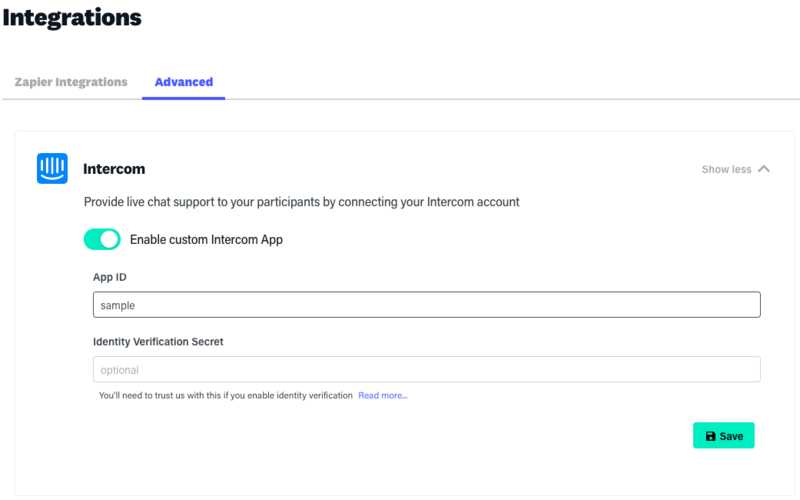 This means that if you have an Intercom account, you can embed it within your Coassemble LMS and use it to communicate with your participants. Combining Coassemble and Intercom makes for some exciting possibilities. From a technical support perspective, your participants will now be able to contact you at a moment's notice if they can't work out how to submit an Assignment or progress through a Course. Learning no longer has to stall due to technical difficulties. In terms of actual learning, being able to connect your LMS users with facilitators who can offer guidance and instruction can be invaluable. This can be as simple as having facilitators on hand to answer participants' questions as they complete their e-Learning. You could, for example, have contact hours in which facilitators are available to chat through Intercom and help participants in need. Or, if you're feeling inspired, you can use Intercom to fundamentally alter the way you design your Courses. You can now author your e-Learning knowing that facilitators will be on hand to communicate with participants as they progress through it. For example, you could create a Spanish course in which learners are required to use Intercom to have a conversation with their teacher after learning certain phrases. You can also use Intercom to proactively send messages to participants. For example, you may want to inform your user base that a new Course has become available; sending a message out through Intercom rather than as an email means users will receive it while they're in the platform, and be able to navigate to the new Course straight away. Coassemble has chat-room and discussion features that are as good as any LMS, but Intercom raises the level of direct communication to a new standard. If you already have an Intercom account, integrating it with your Coassemble LMS is simple. Contact our support team (through the logo in the bottom right-hand of screen) and we can switch your integration on. You'll see Intercom on the Advanced page. Simply enter your App ID and Identity Verification System in the relevant boxes and you're good to go! Where can I find my APP ID? Your app ID is a unique code assigned to your app when you create it in Intercom. There are a few ways you can find your app ID. The easiest way to find your app ID is to check the URL of any page you have open in Intercom. It's the code that comes after apps/ in the URL. So for this example app, if we check the URL we can see that the app ID is e8y21262. Your app ID is also available on the top right of the page in the API keys section of your app settings. Lastly, your app ID is available for quick copy/pasting in your Setup Guide, in the right-hand-side column. Intercom integration can only be enabled on Scale, Pro, Pro + US and Enterprise plans. If you don't have an Intercom account, you can sign up for a 14-day trial here by clicking here. Note that your Intercom conversations within Coassemble will be completely private; your messages and your users' messages won't be visible to us. 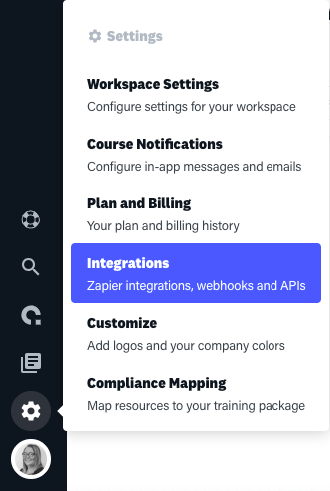 If you have any questions about integrating Intercom with your Coassemble LMS, contact support using the button at the bottom right-hand corner of your screen.